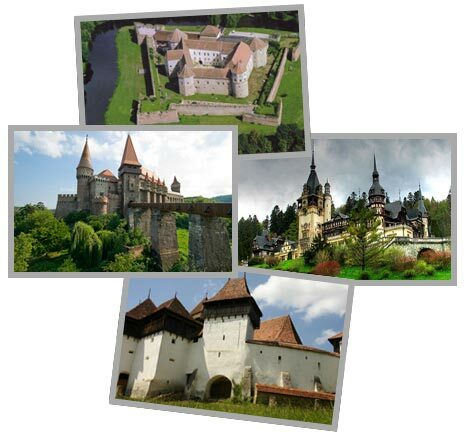 We offer some of the best sightseeing and tours in Brasov, Transylvania. We also provide airport transfers, guide services, fun activities and budget accommodation. All our tours in Transylvania can be reserved online or can be booked by sending us an e-mail or giving us a call. Discover the magnificent Transylvania and the reality and myth of Dracula Legend. We'll take you to the most important sights which had an important role in Vlad the Impaler's life and fallowing the Bram Stoker's novel. Don't miss the day trips form Brasov to Bran Castle, the birth place of Vlad the Impaler (Dracula) - Sighisoara, he's real kingdom Poienari and ruin castle. A journey through Brasov history and culture of Romania which will include old Transylvanian cities, castles, fortresses, monasteries and churches tours. You can visit: Peles Palace, Brasov city Old City Center, Rasnov Fortress, Bran Castle, Sambata Monastery, Fagaras Fortress, Haraman, Birtani and Prejmer Saxon Churches - three jewels of the German influence protected by UNESCO, Sighisoara Citadel - named also the Pearl of Transylvania, one of the very few medieval citadels still inhabited, which is also included on the UNESCO World Heritage.